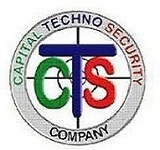 Security services offered by Capital Techno Security Company (Pvt) Ltd® include host of solutions utilizing physical and technical security elements. With our head office at Islamabad and branch offices in all provincial capitals,CTS® operates throughout Pakistan. Established in 2008, CTS® is proud to have developed strong professional bond with our customers, which include multinational, international and private organizations. We at CTS® fully understand our clients’ security concerns and needs. With the vast experience of our staff in security and related fields, CTS® offers contemporary security solutions utilizing state-of-the art technical security equipment and systems. CTS is committed to provide comprehensive security consultancy services to its clients on host of security related aspects. 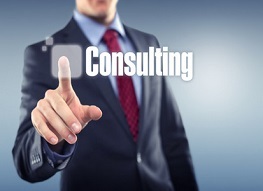 Our team consists of experienced security analysts, who can provide consultancy services as per client’s needs. CTS® designs its physical security structure based on the threat and vulnerabilities of the client’s staff and infrastructure. 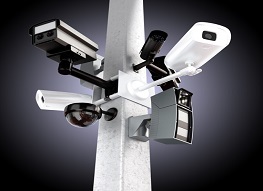 The increasing demands and pressure on clients to ensure adequate security to their organizations may range from provision of simple arrangements to comprehensive physical security solutions by CTS®. Based on our vision in CTS, we address client’s needs through application of advance technology. We are committed to provide most effective quality security solutions employing technical equipment and human resources. Global Resources,® a subsidiary company of CTS,® provides Trading, Financial, Energy, IT & Networing,Consultancy, Training, Construction, and Security services to clients in ICT. GR® is a leading Systems Integration company specialized in Security, Network Infrastructure, Application Delivery Optimization, Data Centre,Storage and Data Protection. Hayat-e-Nau Welfare Trust® is a community service trust affiliated with CTS®. HeNWT® aims to provide healthcare information, emotional support and financial assistance to cancer patients and their families. 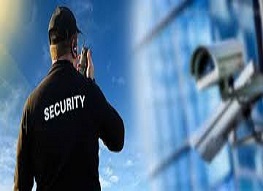 Capital Techno Security Company (Pvt) Ltd,® one of the leading security services provider, offers comprehensive security solutions that help client organizations to ascertain their security needs and formulate strategies and subsequently implement security solutions to mitigate risks and accelerate their business objectives. Security services offered by Capital Techno Security Company (Pvt) Ltd® include host of solutions utilizing physical and technical security elements. With our head office at Islamabad and branch offices in all provincial capitals, CTS® operates throughout Pakistan. Established in 2008, CTS® is proud to have developed strong professional bond with our customers, which include multinational, international and private organizations. We at CTS® fully understand our clients’ security concerns and needs. With the vast experience of our staff in security and related fields, CTS® offers contemporary security solutions utilizing state-of-the art technical security equipment and systems. Mailing Address: Capital Techno Security (Pvt) Ltd, Head Office # 205-C, 2nd Floor, Evacuee Trust Complex, F-5/1, Islamabad, Pakistan. CTS® is established with the approval from Ministry of Interior and Securities and Exchange Commission of Pakistan under the Companies Ordinance 1984. License # 1234567890, 2008. Occupational Health and Safety Assessment Specification, OHSAS 18001:2007 Certified. Member All Pakistan Security Agencies Association (APSAA).